The impending arrival of Halloween has got me thinking about my odd attraction to all things dark and sinister. I’ve long been a fan of true crime books and I find it fascinating to visit real and fictional crime scenes, as well as the sites of major disasters, monster, ghosts and ghouls. I realise how this makes me sound and I am aware that my hobby *might* not be helping me all that much with my insomnia. I was thrilled to find out that the emergence of the ‘dark tourism’ market means that I’m far from alone. I’m not sure whether this is a worrying statistic or not. It’s not that I’m revelling in the death and suffering of my fellow man, it’s just that I have the kind of brain where I’m always trying to work out what people are thinking and what possesses people to act in the way they do. I wouldn’t hurt a fly* so it’s incomprehensible to me that anyone else could. I previously wrote about the dark tourism spots that I've already visited around the world and there are so many more that interest me that I haven’t had the chance to venture to yet. *But I would absolutely mangle the ninja cat that lives across the road and keeps jumping out at me. The Overlook Hotel was the setting for Stephen King’s classic movie, The Shining, starring Jack Nicholson as a lonely writer who takes over the care taking role at the hotel during its closed season. This gives him all the peace and quiet he needs to concentrate on his work. Far too much, as it happens, and soon his mind begins to deteriorate and the inevitable madness of being so closed off from the world begins to take its toll. It’s a bit like the feeling I got from working on the Isle of Skye in the winter. 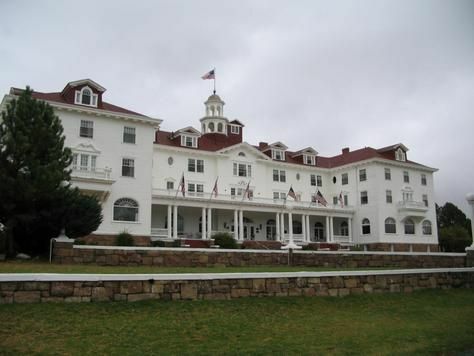 The exterior scenes of the film were shot at The Stanley Hotel in Estes Park, Colorado. The hotel is still open and you can swing on by and check it out. Or, if you’re brave enough, you could book a room and proceed to scrawl ‘REDRUM’ on your walls in blood and tricycle down the communal halls. You know, just if the mood strikes you; it's in no way compulsory. 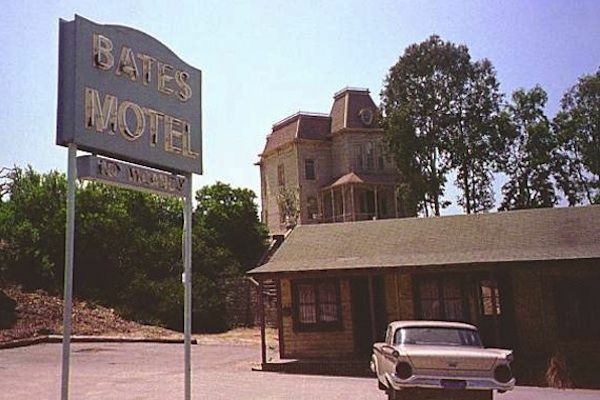 Bates Motel was built on the upper lot at Universal Film Studios in California and, disappointingly, isn’t a ‘real’ property, in the truest sense of the word. Despite this, I’d still really love to drag my rocking chair round to the front of it and sit, laughing manically, calling for my dog, whose name would obviously be Norman. Norman Gorman has a great ring to it, don’t you think? I love Psycho and the main house has such an iconic look that just oozes creepiness. I’ve stayed in a few road motels during my road trips in the states and immediately pull in off the highway if I see something that even *resembles* the set up from Psycho. I've never had an issue in the showers in any of them. This is the first one on my list that is actually the site of a real life horror story. The Killing Fields are a series of sites across Cambodia where the government massacred and buried, it is estimated, in excess of 1,300,000 people. Yep, that’s 1 MILLION, 4 HUNDRED THOUSAND people. The people were executed by the Communist Khmer Rouge regime between 1975 and 1979. As if that wasn’t shocking enough, the combined total of murdered individuals, including those that perished due to starvation at the hands of their government is between 1.7 and 2.5 million. This was from a population of roughly 8 million people, so if you look at it from the higher end, that's in excess of 30% of the population. Gone. It's hard to get your head around the sheer scale of the genocide. The people targeted were often ethnic groups of Chinese, Thai, Vietnamese, as well as people with religious beliefs not shared by the Khmer Rouge. Choeung Ek is one of the most famous of the Killing Fields and has a Bhuddist memorial and burial grounds commemorating the victims. 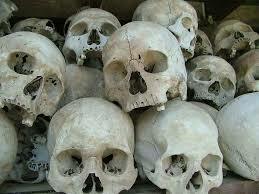 The temple in the park holds the skulls of 5,000 people and lies a few miles south of the capital, Phnom Pen. Within Phnom Pen itself is the Genocide Museum of Teol Sleng. 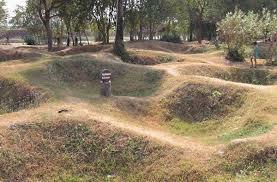 This, like Choeung Ek, this was the site of mass brutality within the walls of the notorious prison S-21. It is estimated that around 20,000 people met their cruel fate within the jail. Of these people, only twelve survived, which is testament to just how horrific life must have been there. It is a horrendously awful period in the history of Cambodia (and for the rest of us) and it is, as odd as it sounds, wonderful to see that they have shared this with the world so openly to honour the people who lost their lives and ensure they will never be forgotten. I'm sad that I didn't have time to go during my visit to Angkor Wat, but I would love to return to Cambodia in the future to pay my respects. You'd have to be living under a rock not to know the story of the Ukrainian nuclear power disaster in 1986. It is the single biggest nuclear plant accident in history and had such far reaching consequences that radioactive particles travelled all the way from the former USSR to Western Europe. The Chernobyl disaster was a class 7 nuclear event, which is the highest classification, and is one of only two ever to reach so high on the scale (the other was Fukishima, Japan). The disaster itself began during a routine systems test which, obviously, went a little awry. After a power surge, an emergency shut down was attempted, which caused a sharp rise in power that led to a series of explosions. This resulted in a massive radioactive fallout which led to hundreds of thousands of people being evacuated and resettled in safer regions. With the plant being run by the central Soviet Government, it was some time before the Ukrainian authorities were actually aware that there had been a problem. To add to this, the local town wasn't even evacuated and it was only recognised that there was danger when dozens of people fell ill and were obviously suffering from the fallout. To think that people of Pripyat were going about their daily business, with no clue what had happened at Chernobyl is, quite frankly, horrifying. The fall out was so far reaching that radioactive rainfall on high areas, including the Scottish Highlands and Welsh Mountains. 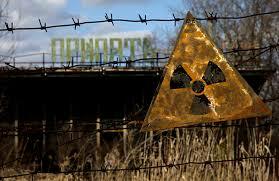 Today, an exclusion zone surrounding Chernobyl still exists. It's known as The Alienation Zone, which sounds pretty much as off-putting as it should be. However, in view of the tourism interest one of the reactor sites has been opened up to visitors. The radiation levels are still so high that it is estimated that it will not be safe to inhabit for around 20,000 years and even the workers who are developing the old site are not allowed to work for more than a few days at a time. I'd love to see it with my own eyes and can't really imagine the scale without physically being there. I was aware that tourists were now allowed to visit, but do imagine that this has to be done with a tour guide and that it wouldn't be advisable to just show up and nose around. The Battle of Belchite rumbled on between the end of August and the beginning of September 1937 in the small town outside of Zaragoza, between the Republican army and General Franco's Nationalist troops. The town was all but destroyed in the fighting that ensued and, after the end of the war, Franco instructed that the town be left as it was, as a memorial. A new town was built a short distance away, but the original town of Belchite remains abandoned and has become a dark tourism hot spot. 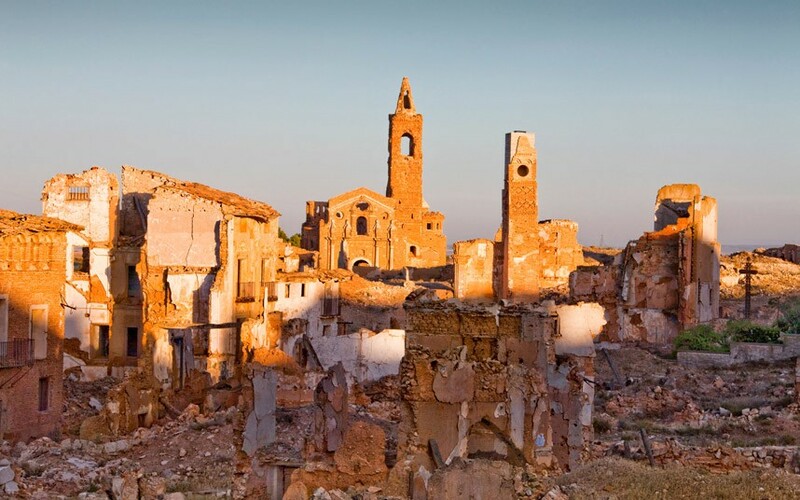 The properties in Belchite are largely ruined, but many remain partially intact, with furniture and decoration in place, cars outside and signs of the life that used to live there in plain view. It's difficult to imagine a situation where you have to flee your home and leave everything you own in an attempt to escape with your most important asset: your life. Previously, you were permitted to wander freely around the rubble, but this is not longer the case. 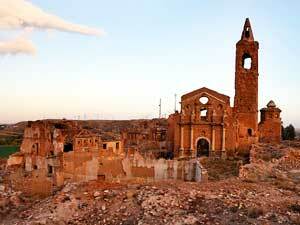 You can now only visit Belchite ruins by joining one of their guided tours. I have no problem with this as I imagine having someone with immense knowledge of what transpired here would enhance any visit. Have you visited an 'dark tourism' spots? What were they?